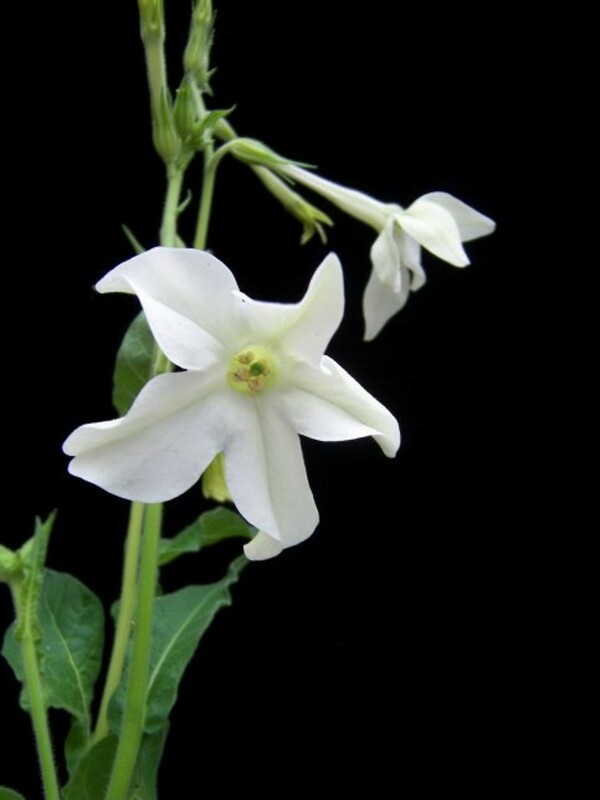 Jasmine tobacco is native to warm-temperate South America, and is used as a garden ornamental with many cultivars. 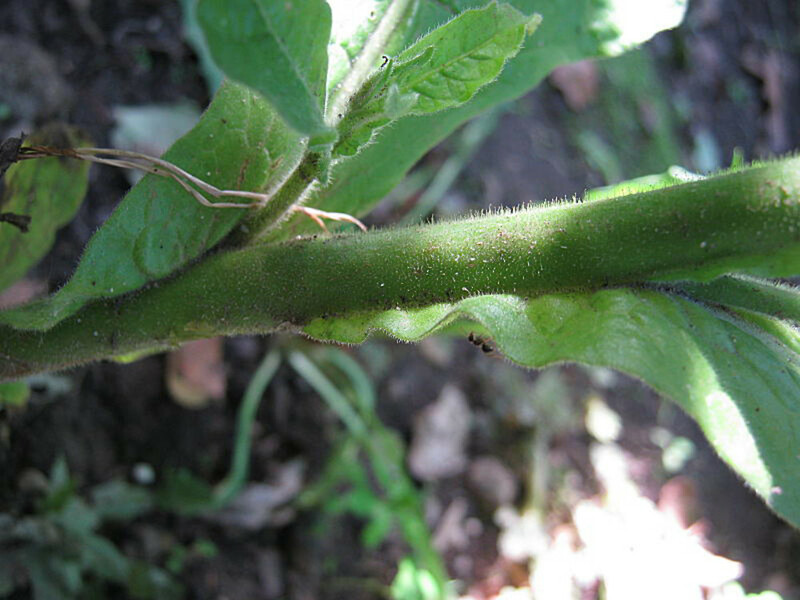 basal, connate, tubular of the corolla 1.5-2.5 mm wide and leaves not decurrent on the stem (vs. N. alata, with the basal, connate tubular portion of the corolla mostly wider than 2.5 mm near its midpoint and leaves strongly decurrent on the stem). 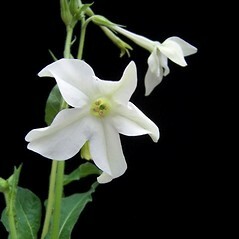 Jasmine tobacco. 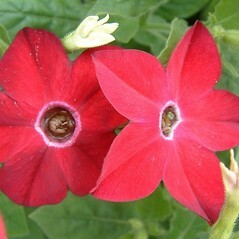 Nicotiana affinis T. Moore; N. alata Link & Otto var. 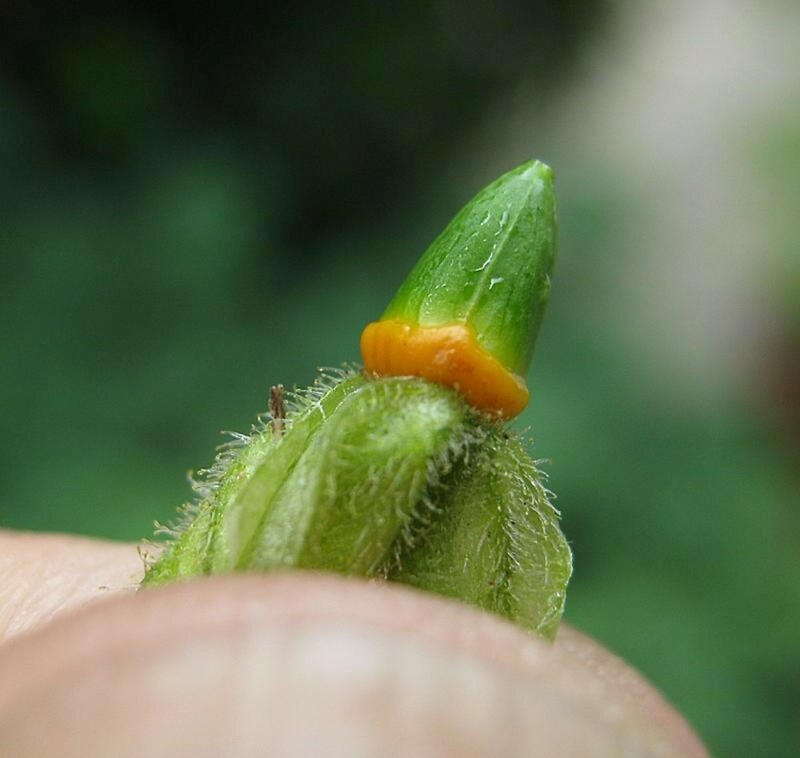 grandiflora Comes • CT, MA, ME. Fields, waste areas, dumps. 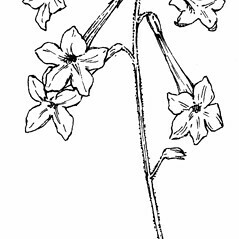 This species is commonly cultivated and shows many different corolla colors but white is common. 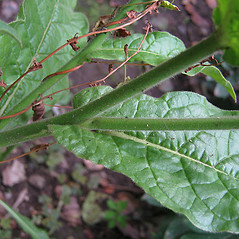 The stem leaves are both clasping and shortly decurrent. 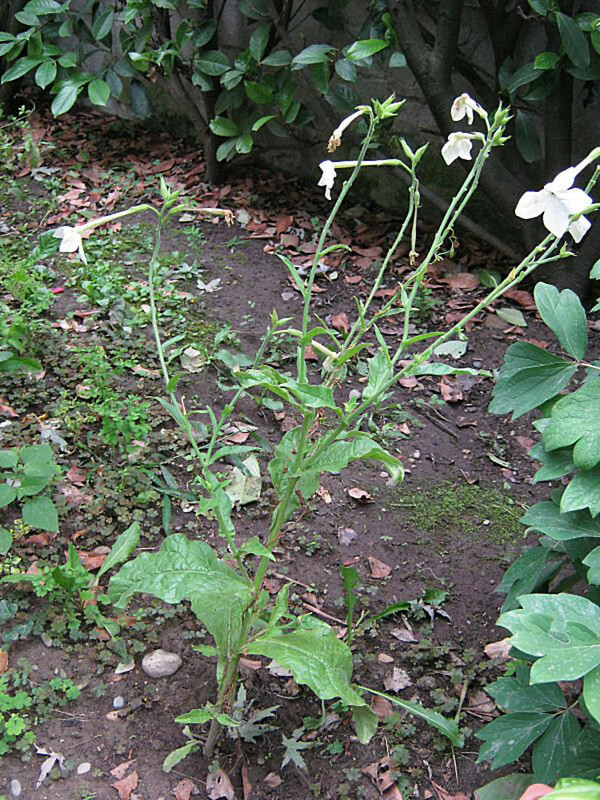 1×Nicotiana forgetiana hort. ex Hemsley. 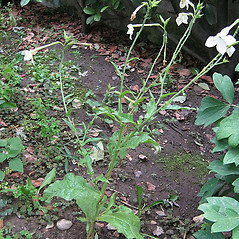 Nicotiana ×‌sanderae hort. ex W. Wats. 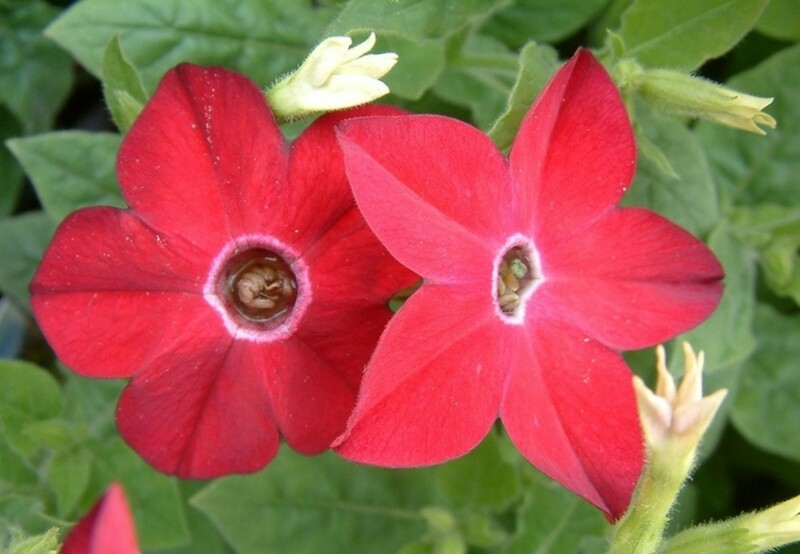 is the red-flowered garden tobacco. 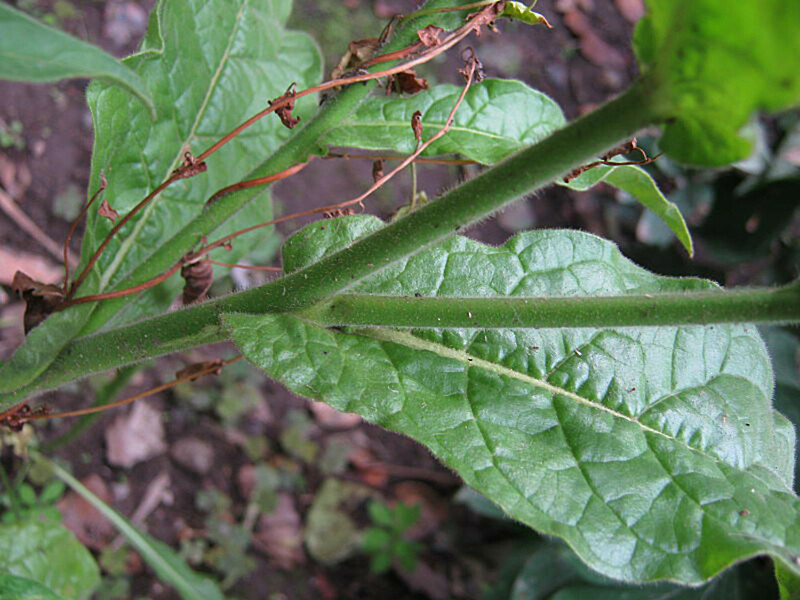 It is a very rare tobacco hybrid known from MA. 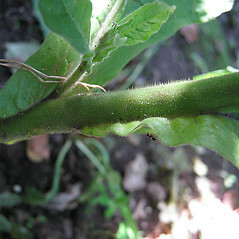 It is similar in many regards to N. alata but has a calyx 8–13 mm long, red corolla lobes that change to dark blue in drying, and the basal connate portion of the corolla is ca. 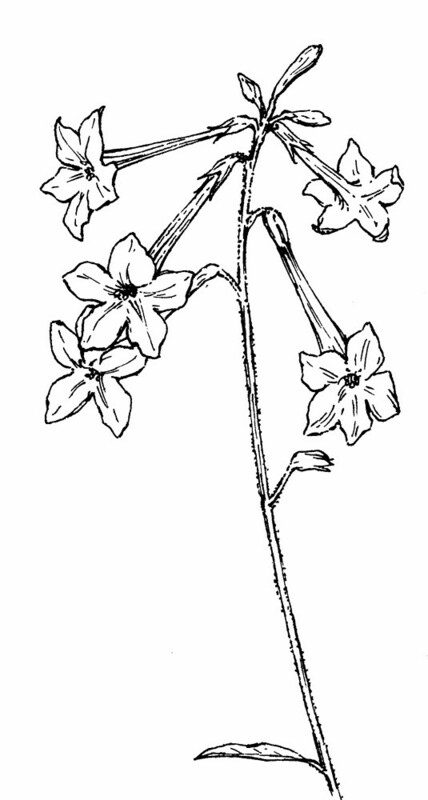 3 times as long as the calyx (vs. calyx 15–25 mm long, commonly ± white corolla lobes, and the basal connate portion of the corolla 4–5 times as long as the calyx).